It's so cute! I love it!!! So cool! Can't wait to read it! WHOO HOO!!!! we're really excited about this one at my house! my sons and i have been playing zombie tag every once in a while, and my oldest just looked at this cover and he really wants it for christmas!!! so fun! congrats! COOL COVER. And I like the details of the dropped spatula and the doggie bones in the ground. oh my god, aspiring_x, that is so fabulous. Awesome!!! I think that cover is definitely gonna appeal to the demographic. It's adorable. Man, how come there are always AWESOME SHOES on your covers? Wow, love the cover and the story. BIG congratulations to you, Hannah! This looks so fun and like something I'd have loved as a kid. Fantastic cover, too! Congrats! Love the cover! 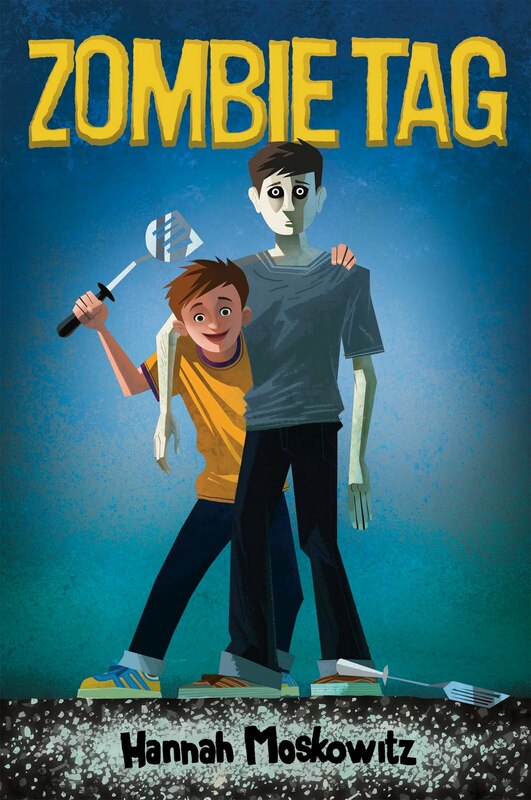 :) The use of spatulas as a zombie weapon is awesome. by the way, it's danielle from Opinionated? Me?. Not some random creep from the internets. but yeah. i love you. That cover is so cute! The spatula is awesome. :) Congrats! This is my favorite of ALL your covers. Congrats! Hello, you are fantastic. That is all.